Despite efforts to discover new antiplasmodial drugs and to accomplish effective implementation of therapeutic combinations for malaria treatment by health systems, P. falciparum fits permanently and develops resistance, including to artemisinin-based combination therapy (ACT). Some mutations allow the parasite to survive in the presence of antimalarial drugs and to become resistant. 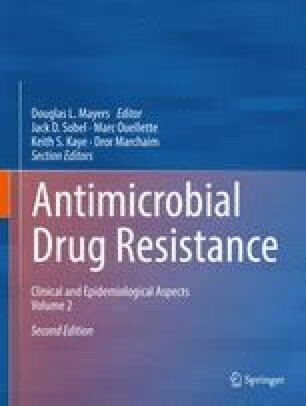 Thus, other factors favoring the emergence of resistance include the following: (1) misuse of antimalarial drugs by infected people (abusive self-medication, poor compliance) leading to incomplete treatment; (2) unavailability of effective drugs or inadequate deployment of drugs as monotherapies; (3) sub-dosed or counterfeit consumption that allows parasites to survive at suboptimal concentrations of antimalarial drugs and to be selected for their ability to resist; (4) the pharmacokinetics and pharmacodynamics of the antimalarial drugs; and (5) the immunity profile of the community and the individual. Updated epidemiologic data on resistance and the molecular mechanisms involved are presented for each antimalarial drug used. The strategies for delaying the emergence and spread are also presented. The roles of heterogeneous biting and transmission in the establishment and spread of resistance in a population are very important. The role of asymptomatic P. falciparum parasites is also important in the evolution of antimalarial drug resistance. Several strategies are considered for controlling the emergence and spread of resistance to antimalarial drugs, such as interruption of asymptomatic carriage with mass drug administration, improvement of surveillance, development of new diagnostics and vaccines, and discovery of new drugs. Organisation mondiale de la Santé: Surveillance de la résistance aux antipaludiques. Rapport d’une consultation de l’OMS, Genève, Suisse, 3–5 décembre 2001. WHO/CDS/CSR/EPH/2002.17/WHO/CDS/RBM. 2002:39. http://whqlibdoc.who.int/hq/2002/who_cds_csr_eph_2002.17_fre.pdf. Antimalarial Resistance Stakeholders Meeting. Eastern African scientists pledge immediate action to confront the threat of malaria drug resistance. 2012. https://www.wwarn.org/sites/default/files/AntimalarialStakeholders-MeetingPressStatement250512.pdf. Accessed 25 May 2012.